Once used extensively in maritime travel and sea navigation, the famous Rhode Island lighthouses are now among the most popular Newport Beach attractions. Seeped in history and reflective of a charming and quaint period in American antiquity, the lighthouses of Newport, Rhode Island, along the Atlantic, and on Narragansett Bay are a must-see when embarking on a New England getaway. First used in 1890, the Castle Hill Lighthouse in Newport, RI is one of the most iconic on Narragansett Bay. While the lighthouse itself is not open to visitors, the scenic coastal area is accessible via footpath. Used extensively during World Wars I and II as part of a Navy torpedo and munitions depot, the lighthouse at Rose Island is among the most historically significant in Rhode Island. Visit the lighthouse and the Fort Hamilton barracks on Rose Island by ferry from Newport for a unique tour of historic New England! Constructed in the mid-1820s and the first lighthouse in Newport Harbor, the Newport Harbor Lighthouse is now a National Historic Place and a popular attraction on Goat Island. 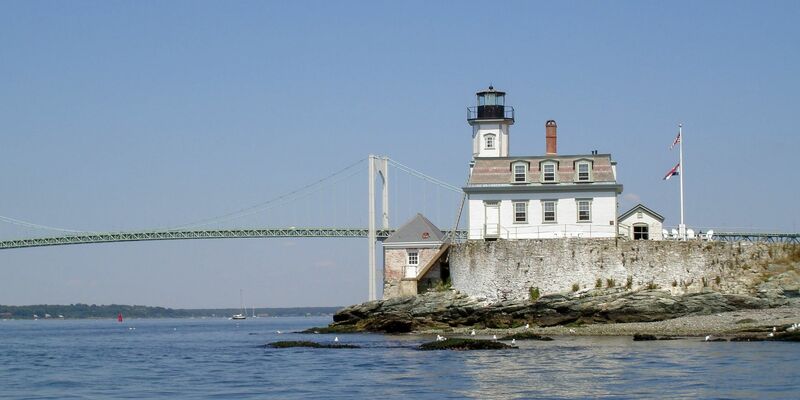 With the Newport Bridge in the backdrop and a scenic location on Narragansett Bay, the Newport Harbor / Goat Island Lighthouse is the perfect place to watch an East Coast sunset. Named for its former light’s keeper who saved dozens of people and at least two soldiers from drowning in Newport Harbor, the Ida Lewis Lighthouse still stands today as part of the Ida Lewis Yacht Club. While club access is private, visitors can view the historic lighthouse on Narragansett Bay from nearby piers.